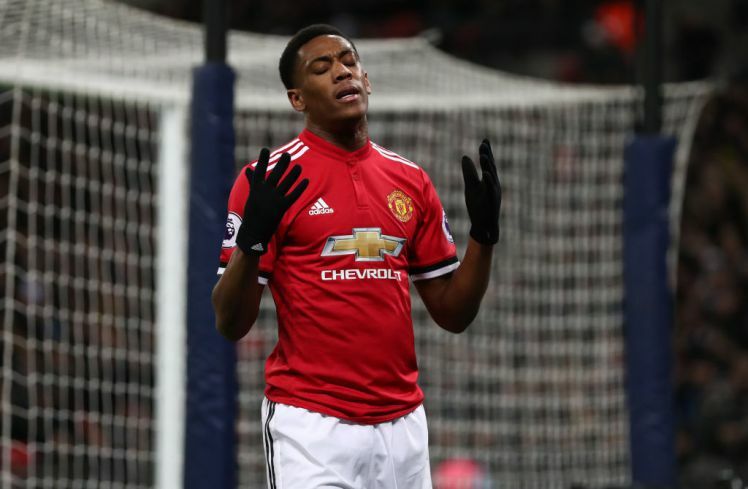 Anthony Martial has reportedly asked his agent to be on the look out for new clubs amid rumours of discontent at not starring regularly for the Red Devils. The France International arrived at the club in 2016 but has found it increasingly difficult featuring in the starting line under Jose Mourinho and is currently below Alexis Sanchez, Marcos Rashford and Romelu Lukaku in the pecking order. His disdain at subsequent benching has led to widespread rumours the youngster is desperately seeking for an exit this summer.The reports also claim the Frenchman has hurried the process and has asked his agent, Phillipe Lamboley to begin the search for a new club. Chelsea are reportedly keen admirers of the 22 -year-old and the reports claim the London club is heavily considering placing a bid for Martial, regardless whether embittered manager Antonio Conte still remains at the club. However it is claimed, Juventus interest in Martial has been reignited over the past few days and the Turin outfit are reportedly prepared to scupper the Blues attempt to land the star. The apparent desperation to sign Martial could spark a bidding war between both European sides as they look to address the inadequacies in their squad and compete in major competitions next season.